UNDP is implementing a project financed by Swiss Agency for Development and Cooperation (SDC) which supports the implementation of the State Action Plans of Climate Change (SAPCC) in the states of Uttarakhand, Sikkim & Madhya Pradesh. The project aims at strengthening capacities to plan and implement relevant climate actions across select sectors including water, disaster management, forest and energy. Tools prepared and processes documented as part of the project will be shared with the larger community involved in practice of climate change. The project will also strengthen the state systems such as nodal institutions towards coordination of the activities envisaged under the SAPCC, facilitate implementation of climate change strategies with select sector departments, maximize the benefits through exploring inter-state cooperation; and showcase the actual implementation of SAPCCs. The Finance and Admin Assistant to be hired under this partnership is for the project implementation phase. S/he will be based at UNDP, New Delhi and shall work under the guidance and supervision of the National Project Manager. As this is a full-time position, s/he cannot hold any other job/assignments during this assignment. Under the overall guidance and supervision of the National Project Manager he/she will provide support to office operations performing a variety of standard administrative processes ensuring high quality and accuracy of work. 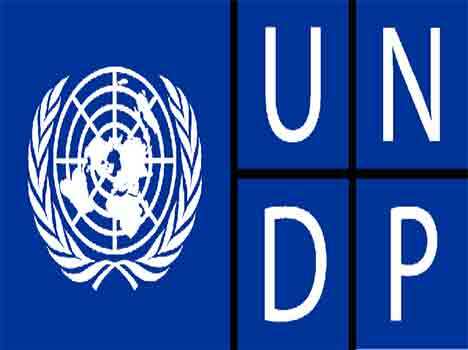 The Finance & Admin Assistant will work under the overall supervision of Head, Energy & Environment Unit, UNDP, New Delhi. He/She promotes a client-oriented approach consistent with UNDP rules and regulations. The Finance & Admin Assistant works in close collaboration with state project team members for resolving administration and finance related issues and information exchange. The Finance and Admin Assistant will primarily be responsible for executing work related to financial management and providing administrative support. Assist in all accounting and book keeping related to the project. Any other function as required pertaining to the effective implementation of the climate change programme. Documents innovative strategies and new approaches. Excellent working knowledge of MS Office-Word, Excel, Access, Power Point, Intra-Internet, e-mail applications etc. Knowledge of other applications such as Front Page, Publisher and some multimedia tools would be useful. Education: A Minimum of Bachelor’s Degree. Desirable – Experience of working with international organizations, NGOs/ INGOs including the UN. Language skills common in the programme State is preferred. Remuneration package is Rs. 75,456/-p.m. (taxable). UNDP also offers additional benefits which includes medical insurance coverage and limited pension reimbursement for the contract holder and encourages work life balance. UNDP strives to have a workforce which reflects diversity and gender balance, and applies an equal opportunities approach. UNDP does not solicit or screen for information in respect of HIV or AIDS status. All selection is on merit.